Today I received in the mail a copy of the short book published by edp sciences after the courses we gave last year at the astrophysics summer school, in Autrans. Which contains a quick introduction to ABC extracted from my notes (which I still hope to turn into a book!). As well as a longer coverage of Bayesian foundations and computations by David Stenning and David van Dyk. 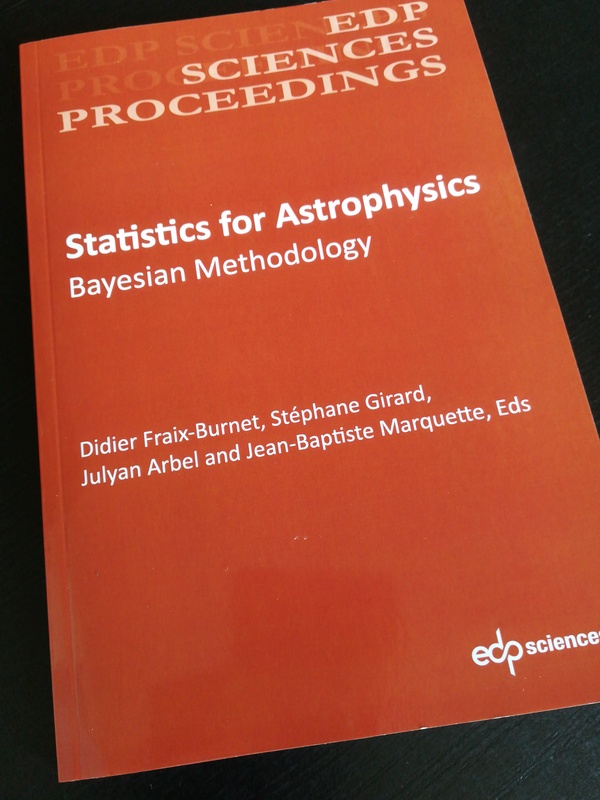 This entry was posted on October 15, 2018 at 7:18 pm and is filed under Books, Kids, Mountains, R, Running, Statistics, University life with tags ABC, Approximate Bayesian computation, Autrans, Bayesian foundations, Bayesian methodology, Book, computational astrophysics, review, Statistics for Astrophysics, summer course, survey, Vercors. You can follow any responses to this entry through the RSS 2.0 feed. You can leave a response, or trackback from your own site.